Home of the most luxurious and exquisite orchids available on line. to those who welcome them into their homes. 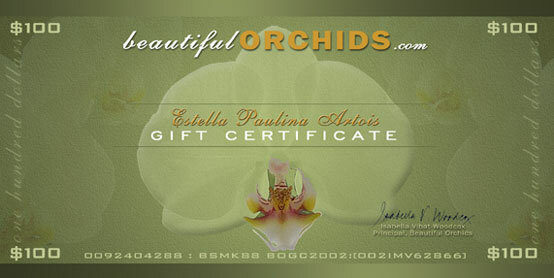 Give your loved one the option to choose the orchid that best suits their own home. with your recipient's name on it, along with links to our site. special orchid or accessory they've been longing to have. provide us with your recipient's shipping information, and your gift will be on its way. Beautiful Orchids - the flowers of the new Millennium.